The quilting looks very beginner-y with a lot of variation in stitch length, but it went a lot better than I expected it to. 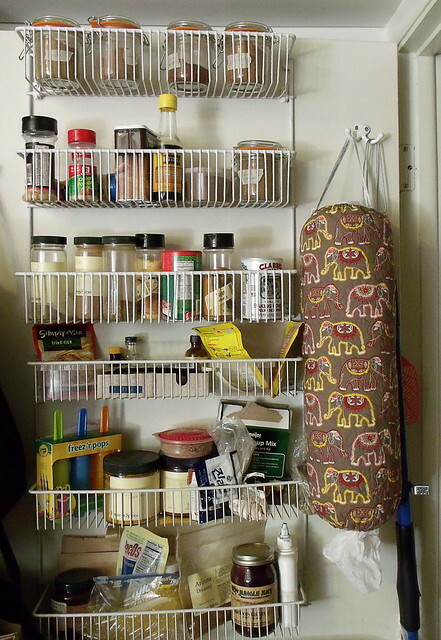 I don’t have a before photo of the gigantic bag full o’ bags, but this looks so much better. 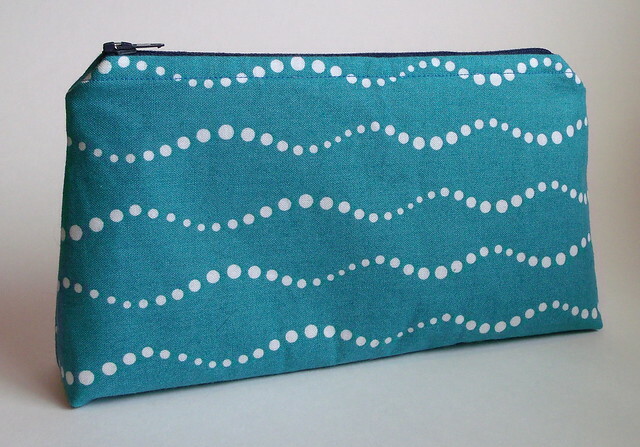 Before working up the nerve to try FMQ, I made this little bag with straight line quilting. The tutorial is from Pink Stitches. I really like the way the batting gives the bag more body. 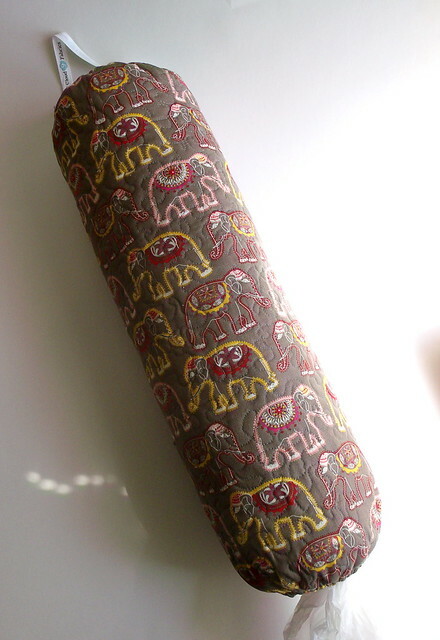 It’s much more substantial and holds its shape better than the ones I’ve made with just interfacing. I think I had a bit of failure to follow instructions because I have a little gap at one end of the zipper, but it’s no big deal. The construction of this bag was slightly different than the other ones I’ve made, and I don’t think I read the directions closely enough. As far as Big Projects go, I’ve got a few going on. The sampler quilt is temporarily stalled until I get some more starch and finish piecing the backing. The hold-up is mainly that I want to try to make my own sizing out of vodka and water. I heard somewhere — I’m thinking maybe on the Hip to be a Square podcast but not sure — that this works best with potato vodka. I know nothing of vodka except that once when I was fifteen I drank quite a lot of it and spent several hours regretting that decision, so I completely over-researched on the internet and made a list of every brand of potato vodka I could find in order of cheapness, then set out to my local liquor store. It looks like they’re fed up with shoplifting over there because they’ve completely roped off half the store, including the vodka aisle. So there I am in this insanely crowded store, wearing my reading glasses so there’s no chance of seeing any of the actual vodka in the forbidden zone. The tiny bottles at the counter didn’t include any potato-y kinds, and I thought about just buying a bottle of some random non-potato-based vodka. There were about ten people in line, though, so I left because it just shouldn’t be that hard to buy a bottle of vodka. Next time I’m going to try shopping in a better part of town than I live in — maybe then I’ll get to actually look at the bottles in person. 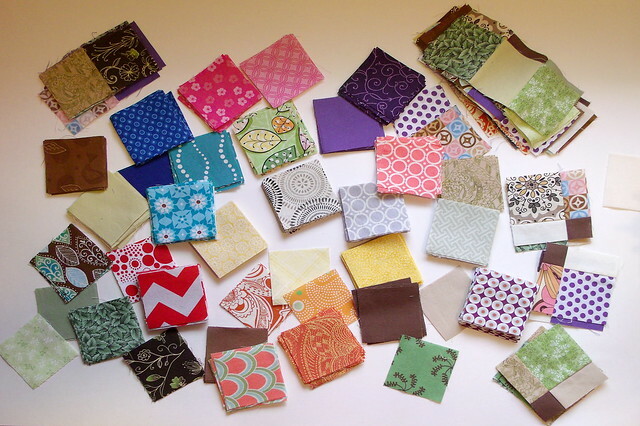 Once the sampler quilt is finished, I’m probably going to start working on it more, not just as a leaders/enders project. Oh, and I almost forgot — I made another little zipper bag a few weeks ago. My (now former) supervisor at work left recently, and I wanted to make something for her since she’s awesome and I’ll miss her. 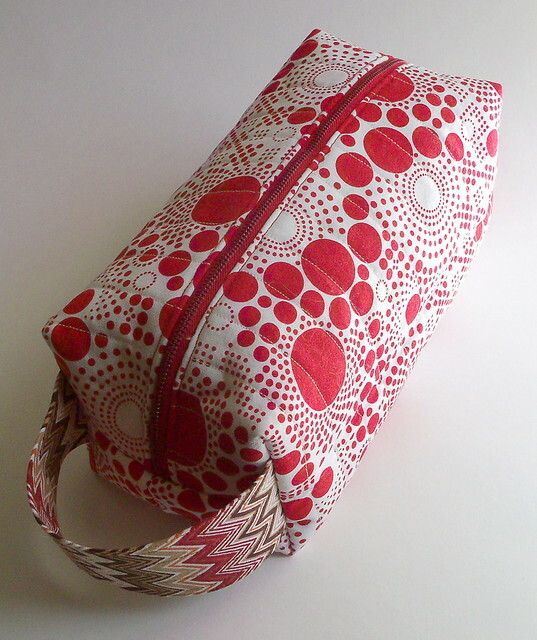 I used the Sew Spoiled cosmetic bag tutorial from Sew Mama Sew, which was really fun and hardly uses any fabric. *Disclosure: the book link above is an affiliate link. So many beautiful projects! 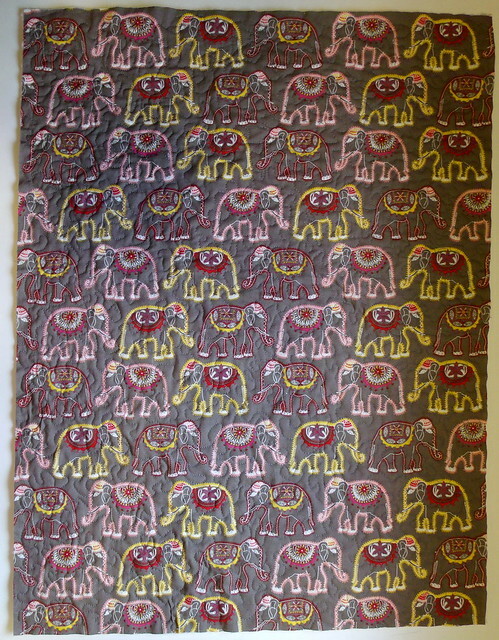 I love that elephant fabric and your first try at free motion quilting looks great! 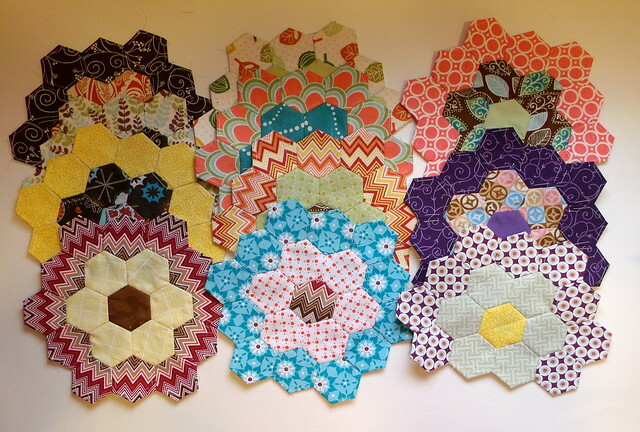 I love your hexagons, there are such great color combinations!